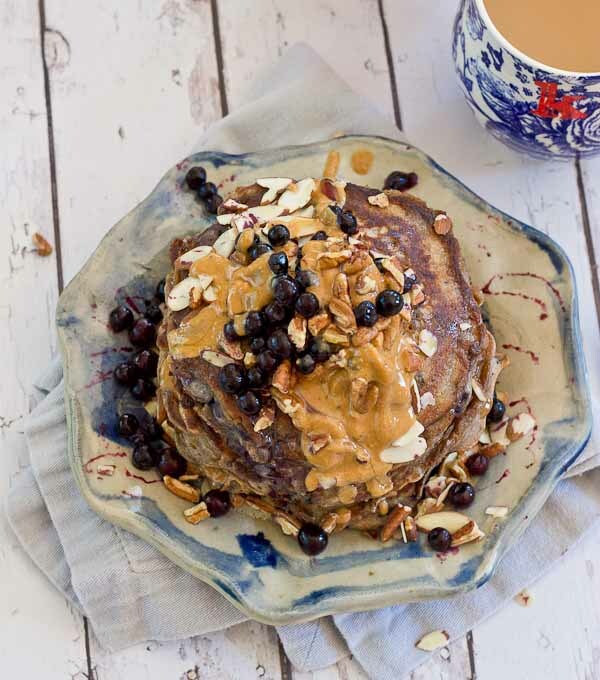 Calling all health junkies, these pancakes are for you! 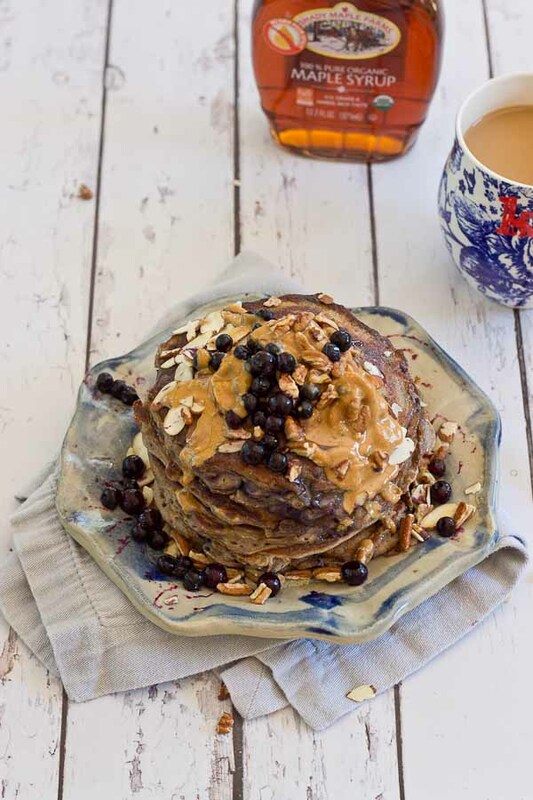 Not your mama’s Saturday morning pancakes, these Health Nut Blueberry Pancakes are made with buckwheat flour, kefir and wild blueberries, and are sure to please even the pickiest palate. Gluten free. These Health Nut Blueberry Pancakes tho. They are so soft and so clean clean, a health freaks dream breakfast. I’m all about the kefir in these cakes because it keeps the pancakes moist and packs a protein punch. Buckwheat flour is gluten free and provides a good little fiber boost. But what I love most about buckwheat flour is the gorgeous brown glow it gives to these pancakes– making them all health nutty and stuff. 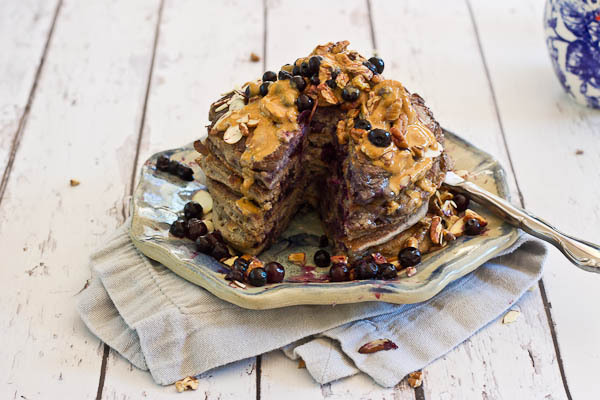 Pile these cakes high with wild blueberries, and almond butter, and almonds and maple syrup if you wish! Love that maple flavor… oh and don’t forget the coffee. Who could forget the coffee?? That’s the first order of business in the AM. It’s the weekend so get yo’ pancake on! 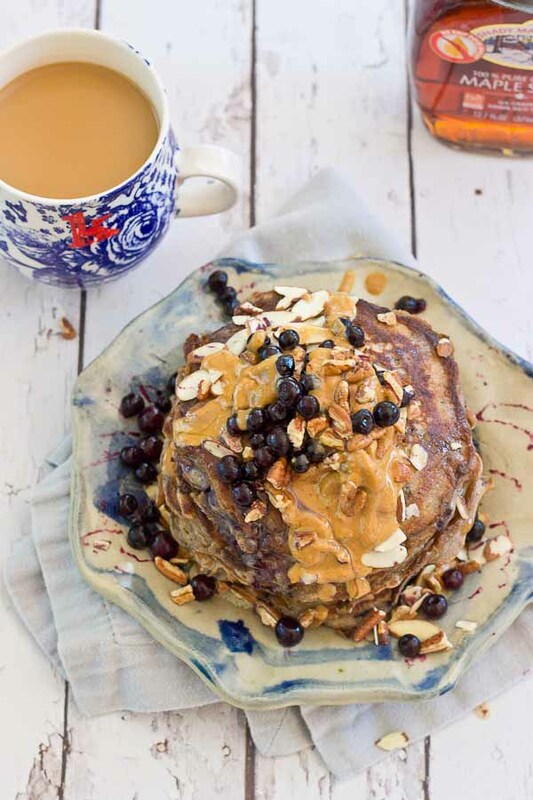 Serve up a stack of these Health Nut Blueberry Pancakes for that Saturday morning breakfast. Enjoy! 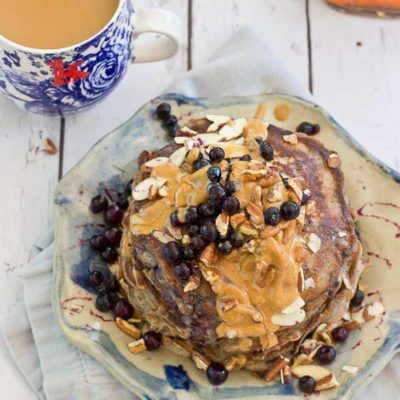 Calling all health junkies, these pancakes are for you! 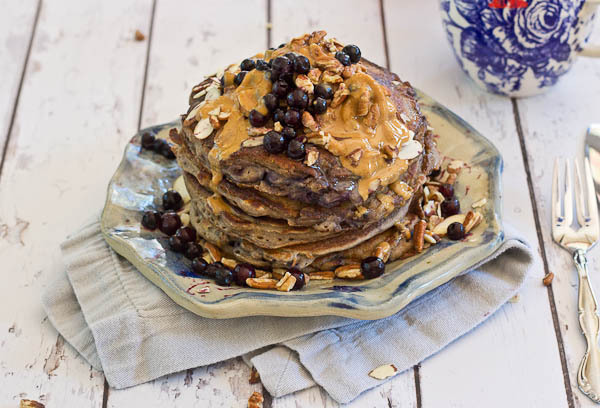 Not your mama’s Saturday morning pancakes, these Health Nut Blueberry Pancakes are made with buckwheat flour, kefir and wild blueberries, and are sure to please even the pickiest palate. In a large bowl, whisk together buckwheat flour, baking soda, and salt. In a separate bowl, whisk together egg, maple syrup, kefir, coconut oil, and vanilla extract. Fold wet ingredients into the dry and stir until combined. Lightly coat griddle with butter and heat over medium. Ladle 1/4 cup pancake batter onto griddle, and sprinkle with 2 tablespoons blueberries. Spoon a little more batter onto pancake to cover blueberries. Cook until it bubbles on one side and flip. Repeat steps 4-7 to make remaining pancakes.